An earth-shaking occurrence does not have to be earth-shattering. Our public adjusters work only for you in dealing with your insurance company and assessing your full property damage as we manage and file a claim to get you the optimum amount for your family. An earthquake can destroy or compromise the safety of your home. Our public adjusters provide the experience and guidance you need to make an educated decision while filing a claim on your path to rebuild. Earthquake damage to your property can be immediately apparent or hidden. For instance, a seismic shift could crack and unsettle the structural integrity of your property without you even knowing about it. This could make your family’s home vulnerable to future damage and collapse, making your home unsafe. Our team of professional adjusters has unmatched experience in earthquake damage and risk assessment for evaluating your coverage for a future catastrophe. We work for you, the policyholder, to make sure all property damage is evaluated and documented. We negotiate a maximum claim recovery so you can have the means to provide a safe home for your family. How can I afford such a large deductible? How important is having my own engineer? Big deductibles demand that your claim be properly evaluated. How can you afford to rebuild your house with such a large deductible? Understanding claim strategies and value engineering are important. 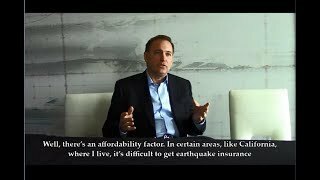 Are you familiar with how insurance companies have handled past earthquakes? How does it affect you? Our expert panelists discuss the ever-changing landscape of insurance coverages in the face of disasters, natural and man-made, both common and unusual.